Together at their castle … the stuff fairy tales are made of. Until your true love arrives you can practice making ten! 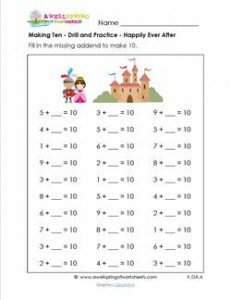 Please go to this page to see all the making ten drill and practice worksheets in this set.